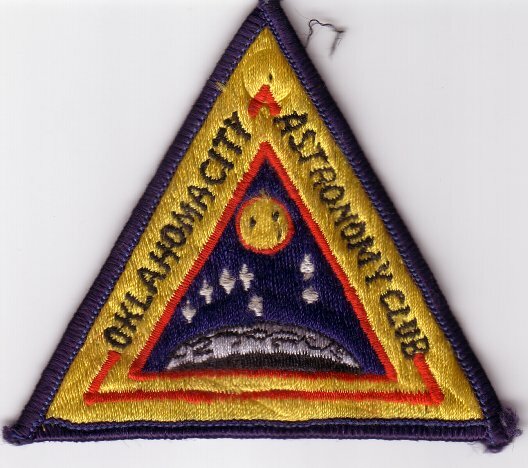 The Oklahoma City Astronomy Club was founded in 1958 so we've been around a while. Here's some remembrances from our past. Click the photos for a full size view. 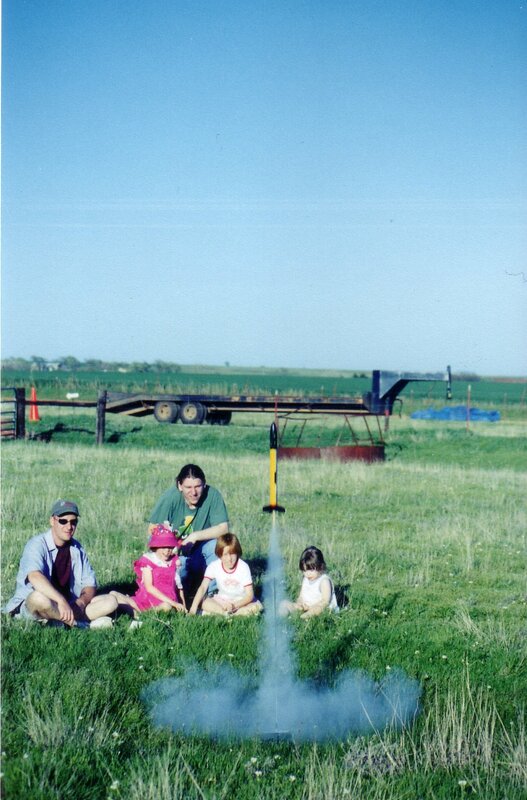 Some members passing time before sunset with a bit of model rocketry. 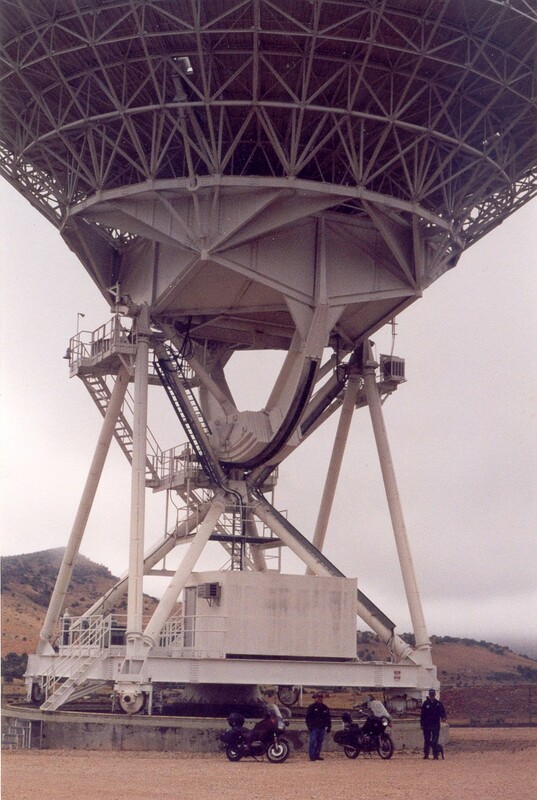 This photo was taken at the "Crop Circle", a long time club dark sky party location. Photo credit, Kevin Davis. 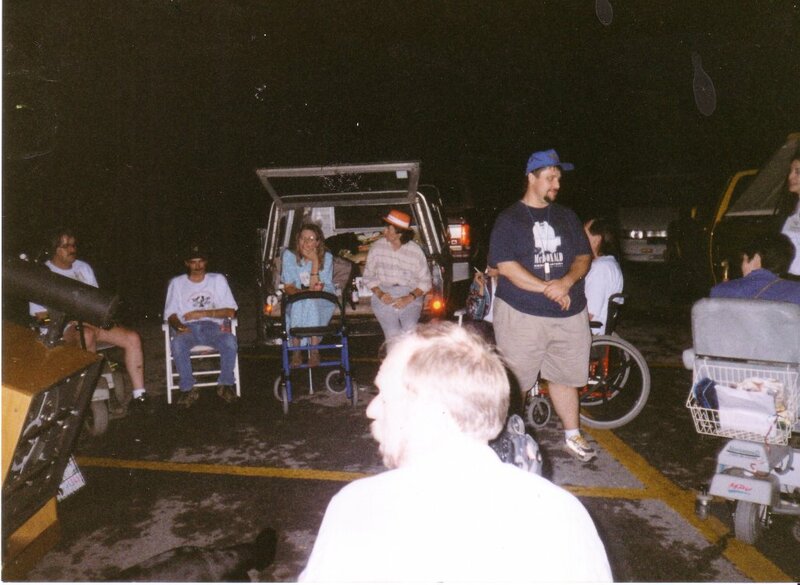 Kevin Davis and Richard Harris putting on a star party at one of our state parks for some folks physically challenged by Muscular Dystrophy. Photo credit, Kevin Davis. 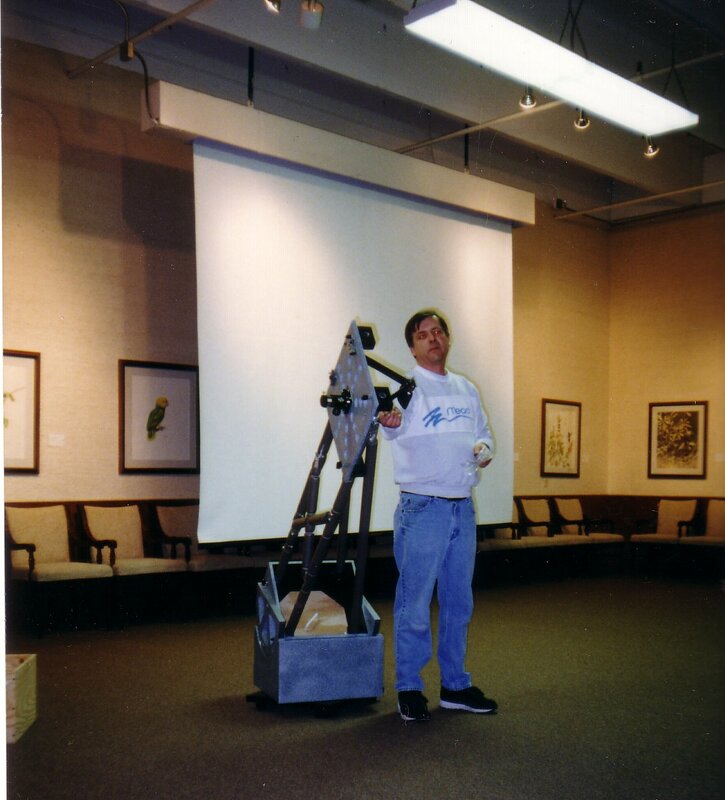 Mike Weatherby presenting a talk on homebuilt telescopes during a 2001 meeting. Photo credit, Kevin Davis. 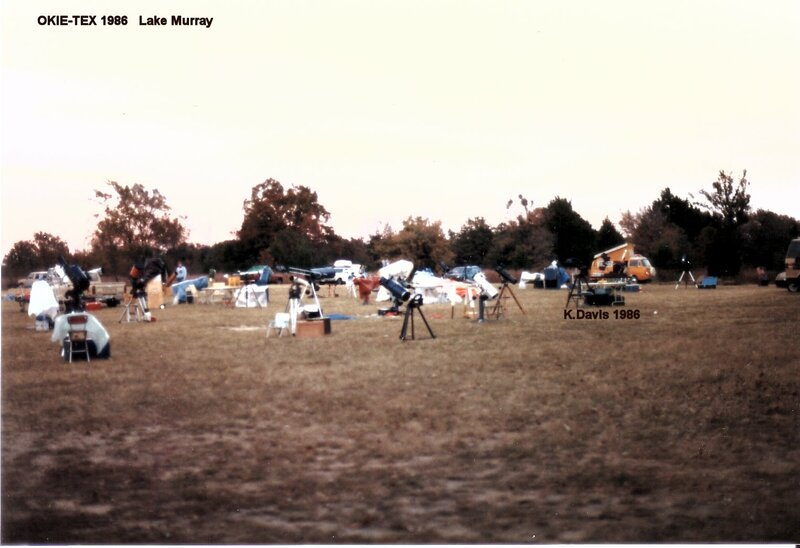 The observing field at the 1986 Okie-Tex Star Party held at Lake Murray. 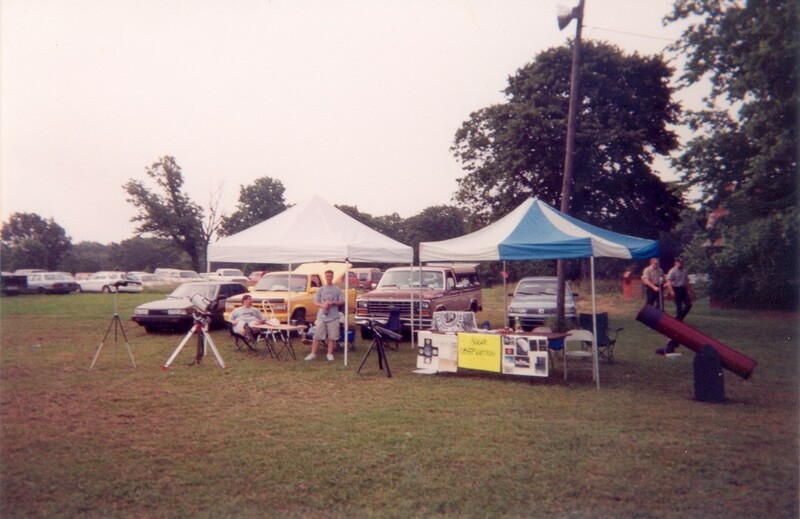 The first Okie-Tex Star Party was held in 1984. The current home of Okie-Tex is at Camp Billy Joe near Kenton, Oklahoma in the Oklahoma Panhandle. Photo credit, Kevin Davis. 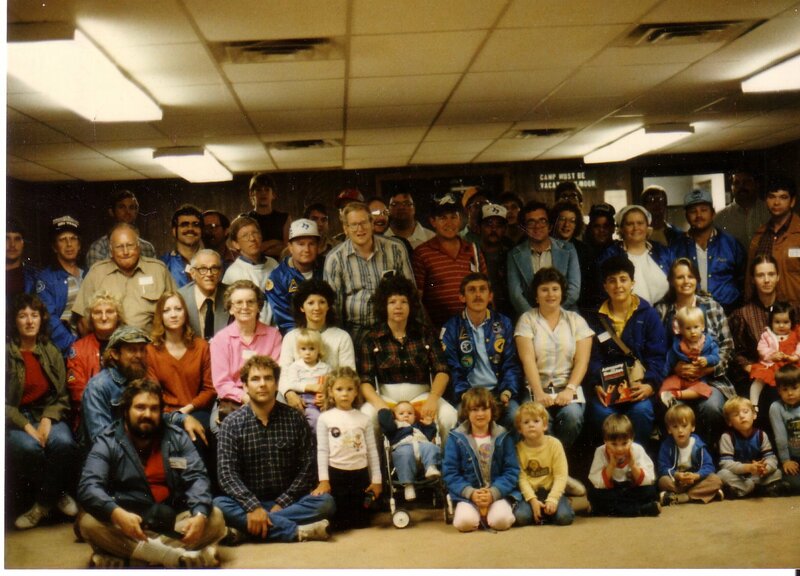 Club group photo at the 1986 Okie-Tex Star party. Mike Dennis (second row, just right of center) was the president in 1986.Photo credit, Kevin Davis. A jacket patch sporting the club's original logo. You can see members with these jackets in the group photo shot above. Photo credit, Kevin Davis. 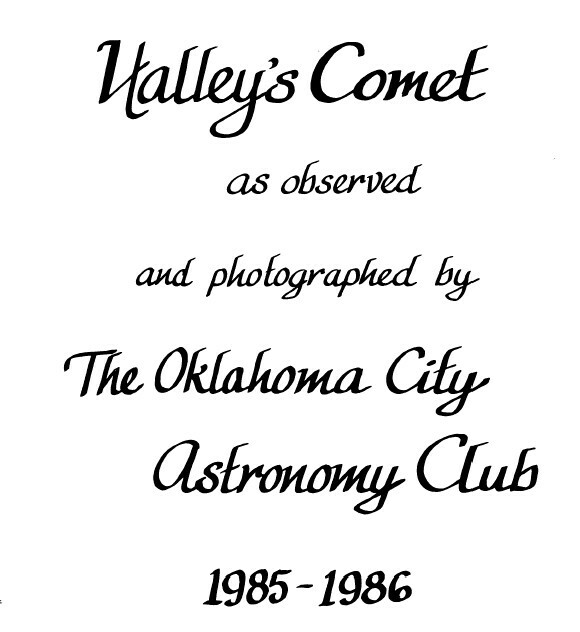 A special edition of the Gazer's Gazette commemorating the return of Halley's Comet and the club member's efforts to photograph it during 1985 and 1986. Click here for an Adobe Acrobat file of this newsletter. 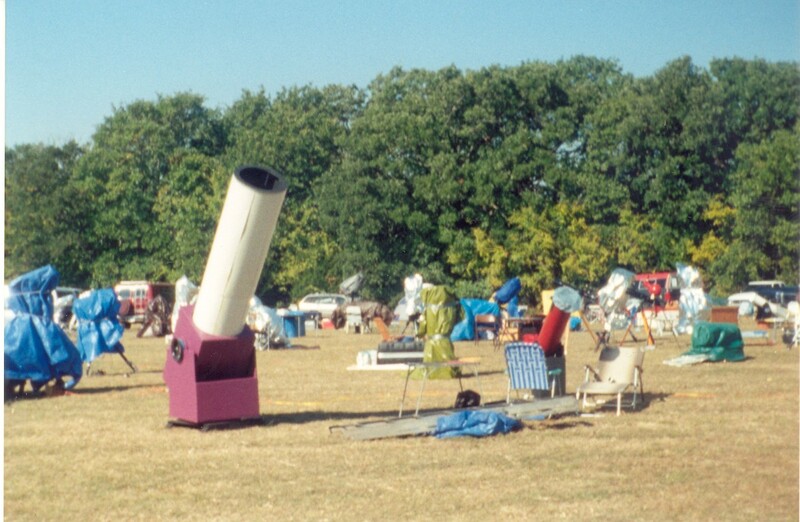 The observing field at the 1996 Okie-Tex featuring Fred Rayworth's "Barney Scope". 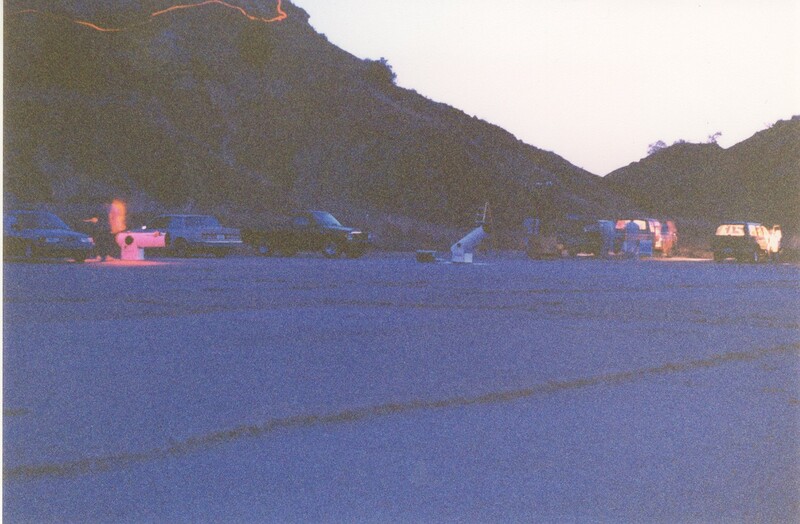 Photo credit, Tony Labude, Sr.
A star party at Gloss Mountain State Park in 1997. Photo credit, Tony Labude, Sr.
A brochure for the club's fifth annual Summer Star Party held in 1998 at Alabaster Caverns. The cover page to the July, 1998 Gazer's Gazette with a story on Alan Dyer, Okie-Tex guest speaker that year. 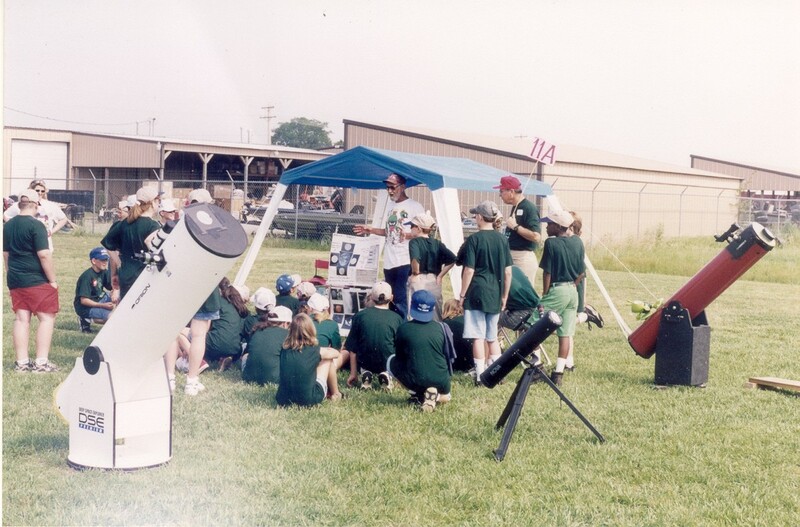 The 1998 Okie-Tex was the 15th anniversary for our star party. The mail flyer for Okie-Tex 1998 held at Prude Ranch that year. J.R. Evans, Tony Labude and "Coco Puff" at Prude Ranch during Okie-Tex 1998. Photo credit, Tony Labude, Sr.
Jimmy Houston's Kids Day, 1998. Tony Labude, Sr. and Carrie Bresky. Photo credit, Tony Labude, Sr.
Jimmy Houston's Kids Day, 2000. Kevin Davis and Sal Garcia. Photo credit, Tony Labude, Sr. Send mail to the Webmaster with questions or comments about this web site. Copyright � 2006-2019 by The Oklahoma City Astronomy Club. All rights reserved. The Oklahoma City Astronomy Club is a scientific and educational organization under IRS regulations 501(c)(3). Your donations are tax deductible. Logos and trademarks of other organizations used with permission and may not be reproduced without permission of the owning organization.